Discussion in 'iPhone and iPad Games' started by TouchArcade Bot, Sep 25, 2016. 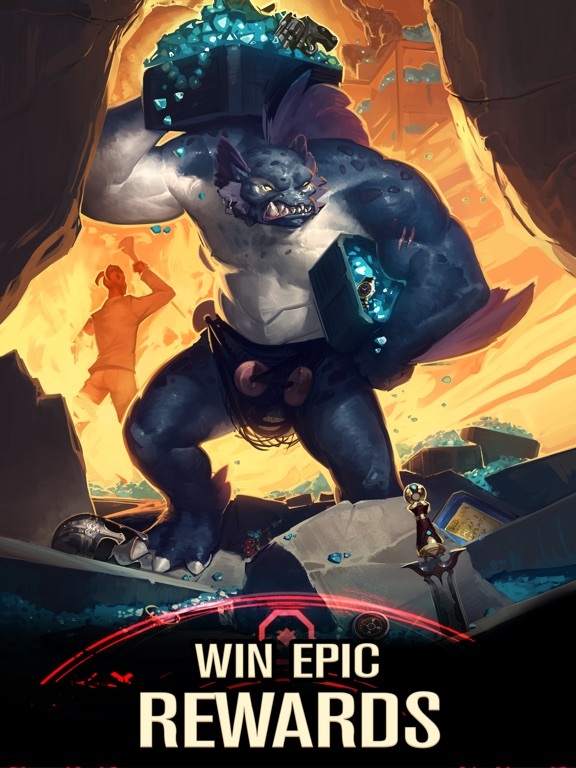 Join the ultimate multiplayer RPG monster battle raging across the globe! 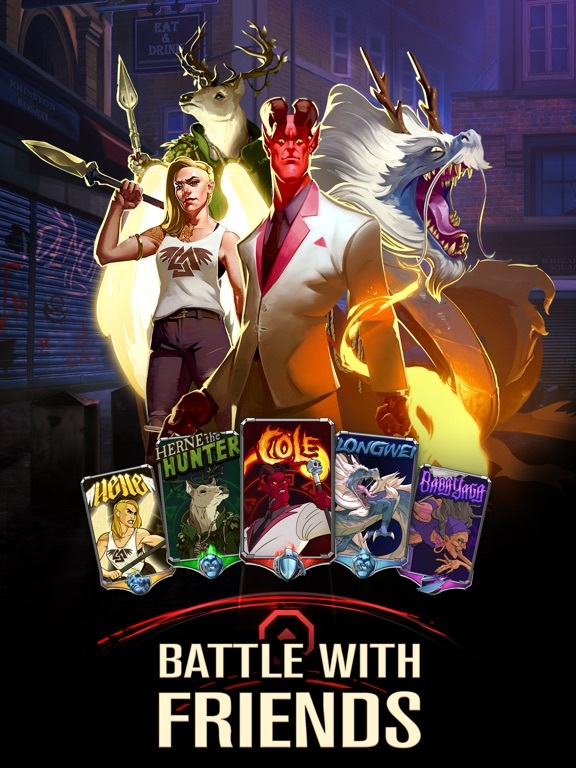 Catch and collect legendary monsters, craft and evolve your epic crew, and clash with rivals in PvP multiplayer puzzle battles. 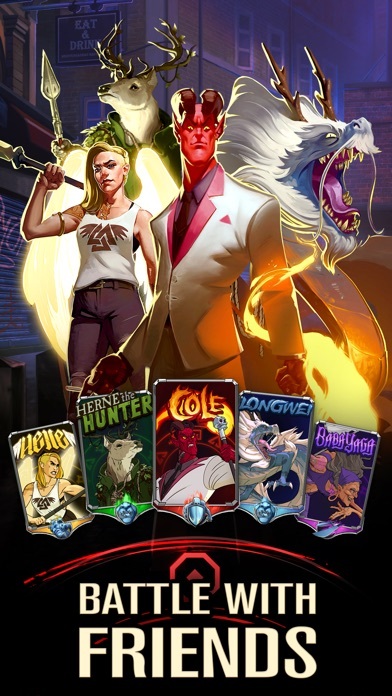 From dragons and zombies, to mummies, angels, werewolves and more, Shadow Wars has monster collecting packed with action, adventure, and strategy! 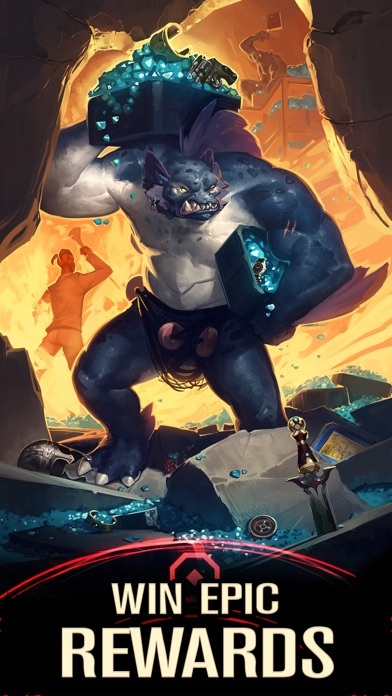 Collect rare artifacts and balance your monsters’ abilities to build and unleash the ultimate crew. 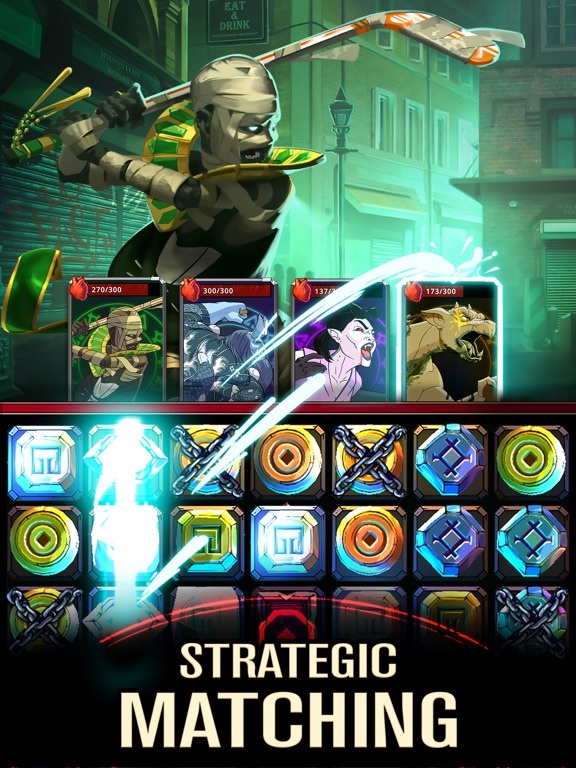 Team up with other Shadow Master friends to form a clan and fight other alliances in strategic match 3 puzzle battles! Join the war or be destroyed. 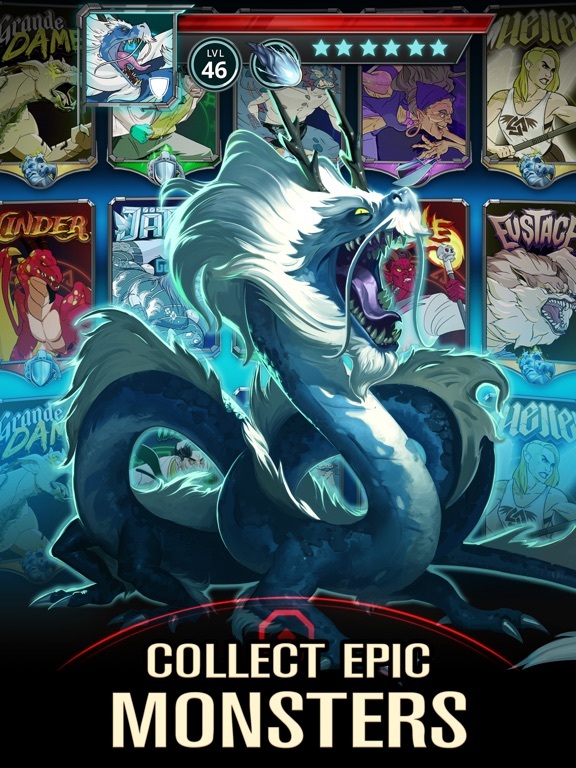 FEATURES: Collect, level up, and evolve powerful monsters, each with unique skills and abilities Intense puzzle strategy — build a team of monsters, configure their skills, and plan your PvP play Form alliances with players from around the world — join forces in multiplayer raid battles and defeat enemies in epic RPG card combat Daily and weekly live events with big rewards — compete to collect rare monster characters, crucial resources, and legendary artifacts Artifacts to collect and further customize your RPG puzzle playing experience Shadow Wars is free to play but offers some game items for purchase with real money. We love to hear from our players! On Twitter? Drop us a line @PikPokGames and join the conversation with #ShadowWars! 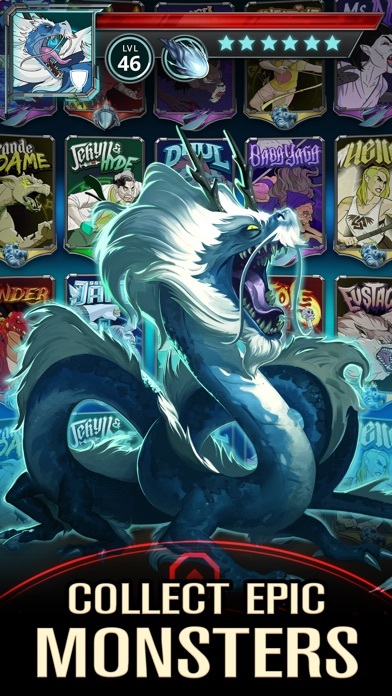 Terms of Service: http://pikpok.com/terms-of-use/ Monthly VIP Subscription for 1 Month with great daily in-game benefits. This subscription will auto-renew every month and must be canceled at least 24 hours before renewal. Monthly VIP Subscription will renew automatically unless auto-renew is turned off at least 24-hours before the end of the current period. Payment will be charged to iTunes Account at confirmation of purchase. Account will be charged for renewal within 24-hours prior to the end of the current period. Renewal costs 9.99 USD/month (or local equivalent). Subscriptions may be managed by the user and auto-renewal may be turned off by going to the user's Account Settings after purchase. No cancellation of the current subscription is allowed during active subscription period. New game by PikPok and no one has commented. Crazy. Going to give it a go. Good strategic gameplay, well planned out progression. New mechanics for acquisition/evolving of monsters. No need to spend money. No stamina timers. Excellent and refreshing game. I'm digging it. My username is Rashanii. Add me. I'm giving this a try simply because its PikPok, but ultimately there's nothing new under the sun here. How much single-player content is there? At this time, there is ONLY single player content. There are clans. The benefits of being in a clan seem to be minimal at best. They are planning to add raids in a future update. That may make the clans a worthwhile experience. Another note about the clans, the chat is terrible. You type something in the clan chat, and it's gone a couple of minutes later. So communicating with your clan members is next to impossible. This game has a lot of glitches and connectivity issues. I know, because I've been playing it since it was soft launched in New Zealand. My player level is 46 out of 50. It can be a fun game, but the glitches take it down quite a few notches. Yeah, it's pretty flashy game packed with tons of high-performance flair.. It does run fine on iPad mini 2..
Not that anyone needs another FTP game, but this title does offer a few new ideas, and some fun along the way. If you've previously played games that remind you of this, have enjoyed them, but are burned out, I suggest you play up to at least account level-10 before forming an opinion. You are sure to see new and fresh game mechanics, unique UI presentations, new battle ideas, etc.. It may, or may not be, enough to hold your attention, but it will be a fresh perspective on a tired genre, at the very least. I have found every game released by this person/group to be very very over rated. Once again another game, by them that just follows the formula before it that has made some money for some dev's. Well at least another 16 days and my PlayStation VR will be here. If anyone has not had the chance to play a proper VR title on a proper VR rig(Vive, Rift, Ps4VR) do yourself a favor and find a store running demos and expierence it!!!!! It's OUTSTANDING... The Ps4 VR is the "weakest" of the group but also least expensive and it provides just as good a time as the 700.00 models. This will be such a huge addition to game dev kits and new forms of story telling and game play. Once VR has been out for a few years, prices come down VR is going to be huge. Actually feeling like your in a cockpit and flying just flat out right stunning! Whatever, and no thanks.. Thanks for the, off topic, sale pitch though.. If you think mobile is filled with one trick ponies you get bored of quickly, you're going to be in for a hilarious surprise when it comes to discovering the current state of VR gaming. I actually find this to be a deeper game than I expected. 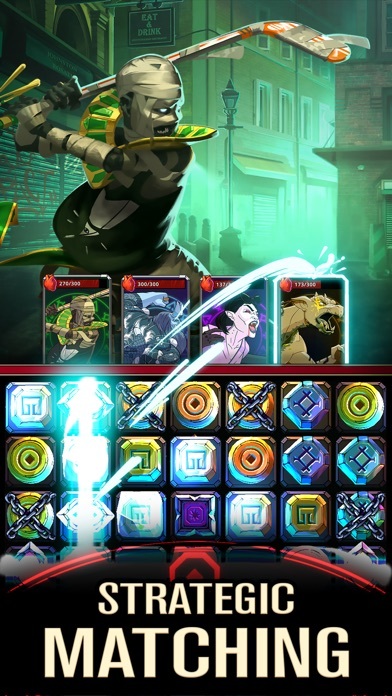 While the battle interface uses on-screen gems to "collect" the value of a color for all adjacent gems to the one you touch, there are strategic components including which character you use to collect them (your attacker) as well as where you press (you drop a special gem when you touch the screen that can have special effects on the board or characters). 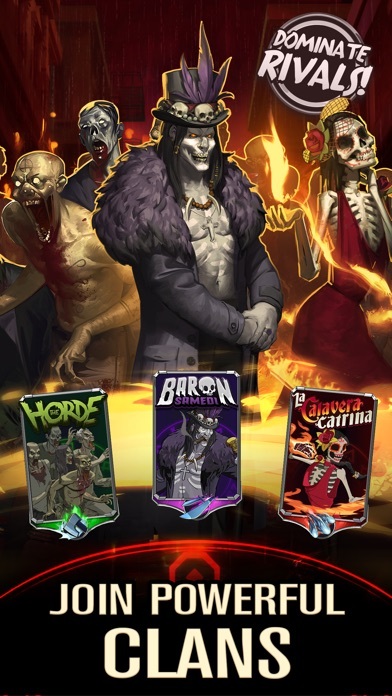 Add in a light story, some cool monster cards, and NO STAMINA (I.e., play all you want), and you have an extremely fair FTP model in place. I played for a few hours the last two days and purchased on pack of premium currency to show my support. I've also accumulated enough to summon several monsters and items just by playing through a few dozen stages. The game clearl isn't done yet, as features such as raids and other guild like functionality is shown but missing, but I enjoying the experience so far. 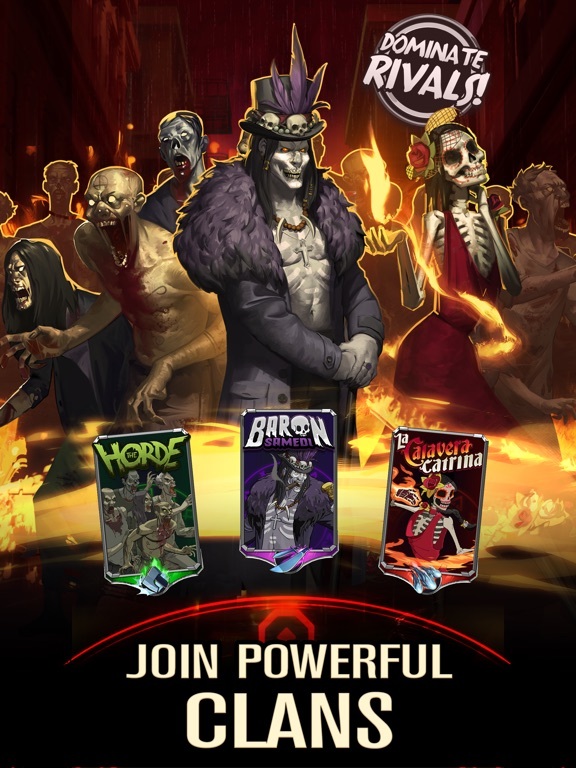 Monsters so battle receive exp, and you also receive generators supplies of exp boosters to use on those who don't. At player level 21 I have a core of around 5 monsters I use all the time right around m level, and around 1k boosters that I can use to level up anyone else I want to (levels take a few boosters at early ranks, and a few dozen at higher). I'm surprised to see such little traffic for the game, but it doesn't have a big name around it or supporting IP so I guess that makes sense. I plan to stick it out with casual pay the next week and see how it develops. Talean. You described the game more in depth then I did, but everything you mentioned is correct.. There is really no reason, for me, not to stick with the game right now.. It's fun and fair.. I typically just play one or two battles at a time (player level 11 right now), so it will be a while till I either get bored, or hit a wall.